If you were asked the question “What is the difference between weather and climate?” would you know how to answer it? Given the dependence of agriculture on weather and climate, it is important to clearly define both terms. Von Walden, professor specializing in meteorology and climatology, Laboratory of Atmospheric Research at Washington State University explains that while both climate and weather concern varying conditions of the atmosphere, the main difference between them is time. For producers, weather influences factors like growing degree days, length of growing seasons, as well as timing and amount of precipitation and evapotranspiration. It can greatly impact crop performance each year. These factors can combine in advantageous ways and provide optimal growing conditions, or result in detrimental effects such as late spring freezes, lack of moisture during prime growing months and can even alter timing and severity of pest pressures.Weather describes atmospheric conditions over short periods of time (minutes to months). On the other hand, climate is the long-term pattern of weather at a particular location. Climate is determined by averaging variables, like temperature and precipitation, over years, decades, and centuries. 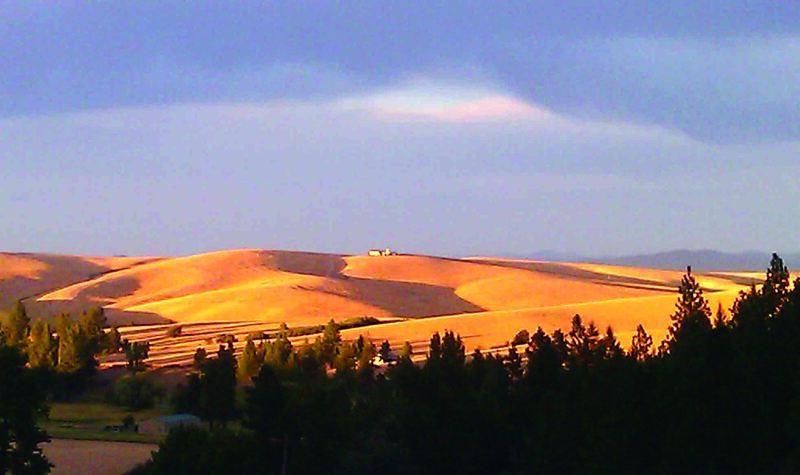 Given the close association of agriculture with weather and climate, it is probably not surprising that approximately 85% of cereal producers in the Pacific Northwest understood the difference between the two terms when asked in a local survey. Nearly 80% also replied that they had observed changes in weather patterns in their lifetime. However, they were less certain about the associated risks to their farming operations, and further discussions revealed that they were most concerned about variations in precipitation, water availability and the impacts of climate regulation to the agricultural sector. Multiple coordinated research, extension, and education projects (REACCH, Site-specific Climate Friendly Farming, BioEarth and Wisdm) strive to help Pacific Northwest producers answer these questions and understand how to keep agricultural production flexible, adaptable and cost-effective despite changes to weather or climate. 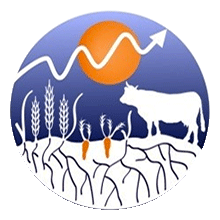 Specific areas of interest to both researchers and stakeholders include heat and drought-tolerant crop varieties, alternative crops and management practices, soil and nutrient management, and soil carbon for improving crop production and adaptation. Traditional conservation management practices, such as these, can increase resiliency of farming systems to environmental risks regardless if they are short-term or are long-term considerations for future systems. 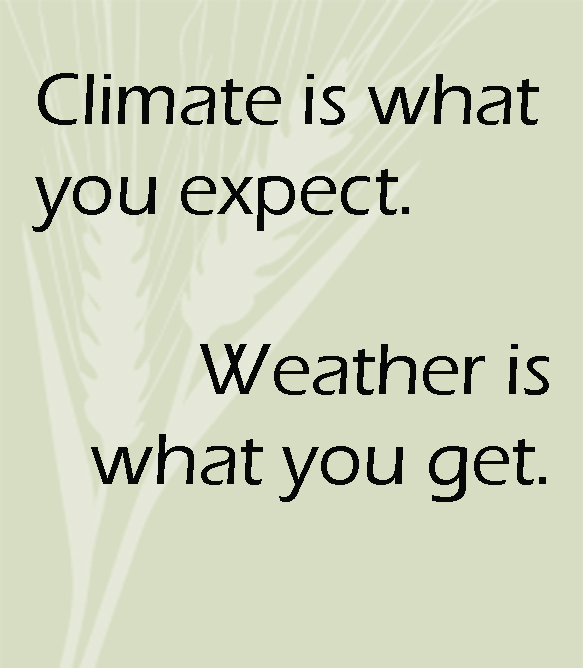 Weather, climate and agriculture. By Von Walden. Climate change and agriculture: What do stakeholders need? By Georgine Yorgey and REACCH team members. Developing resources for farmers, with farmers. By Kristy Borrelli and REACCH team members.